At Kala Digital we believe the website is the hub of all interactions that your customers have with your business. Therefore it is of primary importance in the development of your brand. All of our websites are strategically designed to get the most value for money from your online marketing. This easy to understand report will help you never waste another dollar on online marketing again. You will have the fundamental knowledge to help you generate more return on investment, leads and sales from your online marketing campaigns. 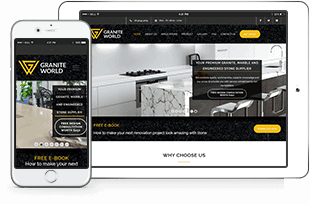 Designed with your customers in mind, so you can be assured of their excellent experience with your company. We have a suite of online marketing services, that are custom tailored to your business. This includes Pay Per Click, Social Media, Search Engine Optimization and Remarketing. Pay Per Click: Benefit from immediate lead generation by being in front of a targeted audience on Google for your particular keywords of choice. Social Media: Take advantage of the wealth of information Facebook has about its user. Target users by a range of demographic information. Search Engine Optimization: Dominate your organic positions by using long term and sustainable SEO strategies to keep your business dominating the competition for the long term. Remarketing: Re-engage visitors whom have already shown an interest in your product or service by following those potential customers around the internet and re-displaying your advertisements. In built SEO features, means you never have to worry if your website is SEO friendly anymore. Built On WordPress, so plugin your choice of CRM to help you keep in contact with your customer base.